Overview The S1 SORTER, a value-oriented product purposely built for the metals industry, is the top solution for analyzing standard alloys like high-temperature alloys, stainless steel, low alloy steels, bronzes, brasses, and other cobalt-, nickel-, and copper-based alloys. This analytical instrument’s elemental range is Ti through U. For most alloy families, the S1 SORTER provides measurements in five to 10 seconds, offering good Chemistry and alloy ID with extreme ease. 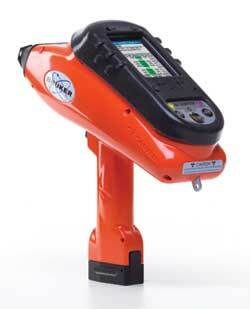 The instrument can measure a maximum sample temperature of 500°C. Contact our Bruker XRF experts to see how your enterprise can benefit from an S1 SORTER today! Languages supported: English, Spanish, Polish, Dutch, French, Italian, German, Russian, Japanese, Portuguese, Korean, Chinese. 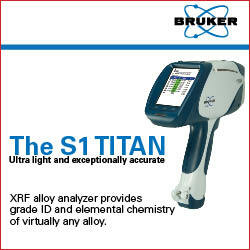 Also see our other line of XRF Metal Analyzers: S1 TITAN!